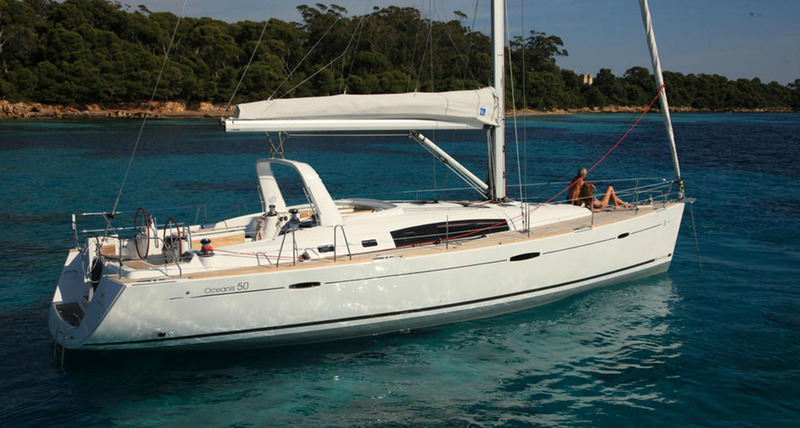 The new Oceanis 50 Family version charter yacht features the new fully integrated main-sheet arch providing easy handling, well positioned grab rails and an integral spray hood and bimini if required. 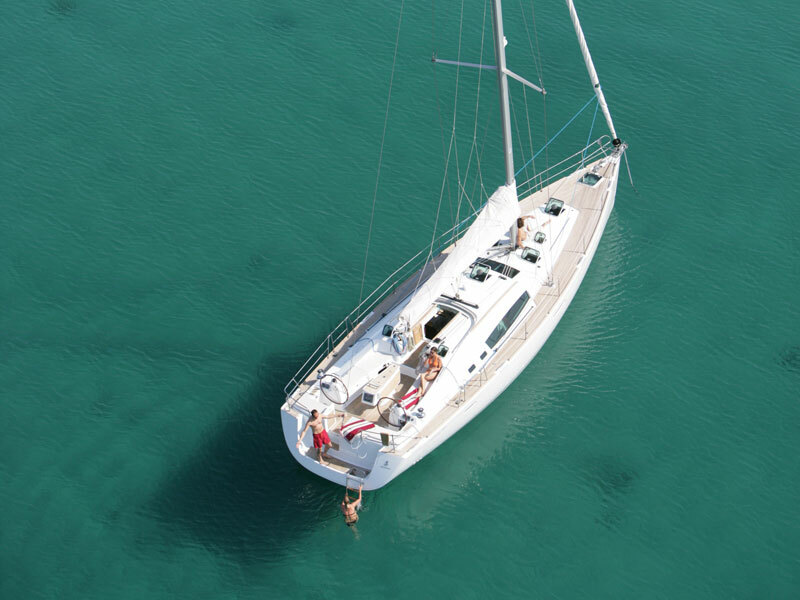 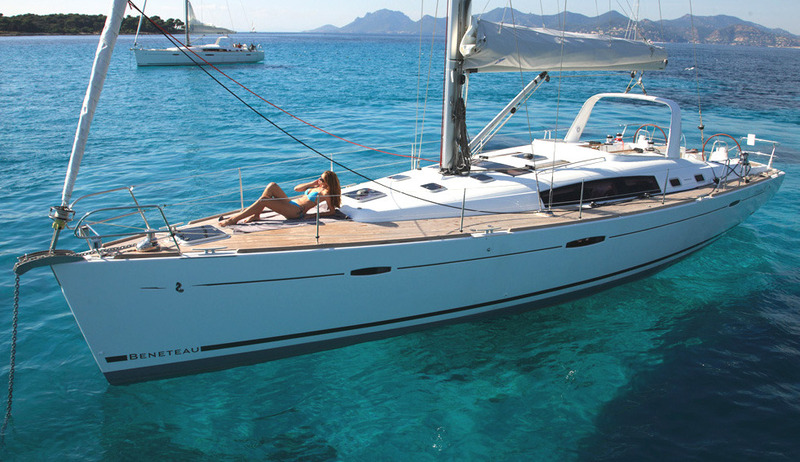 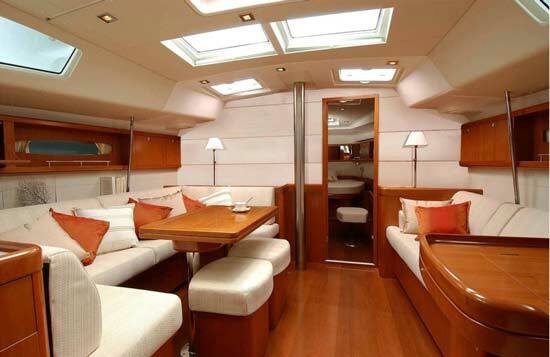 Its fantastic performance and style make it one of the best options for sailing yacht charter in Greece. 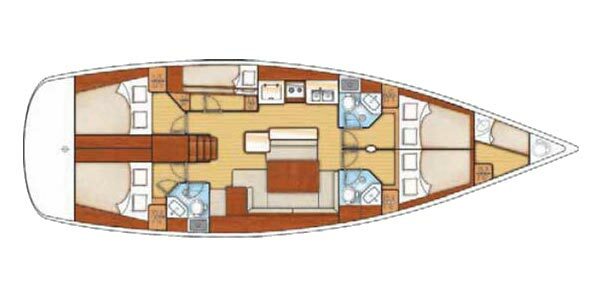 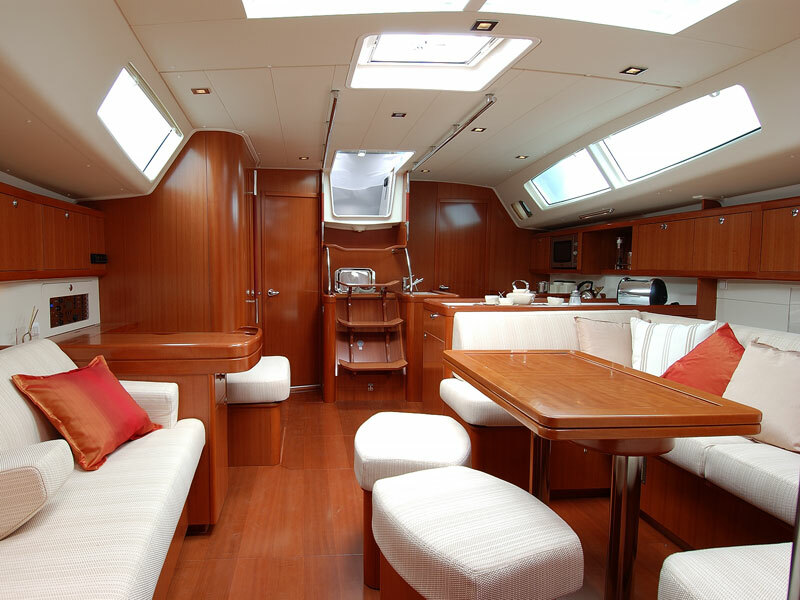 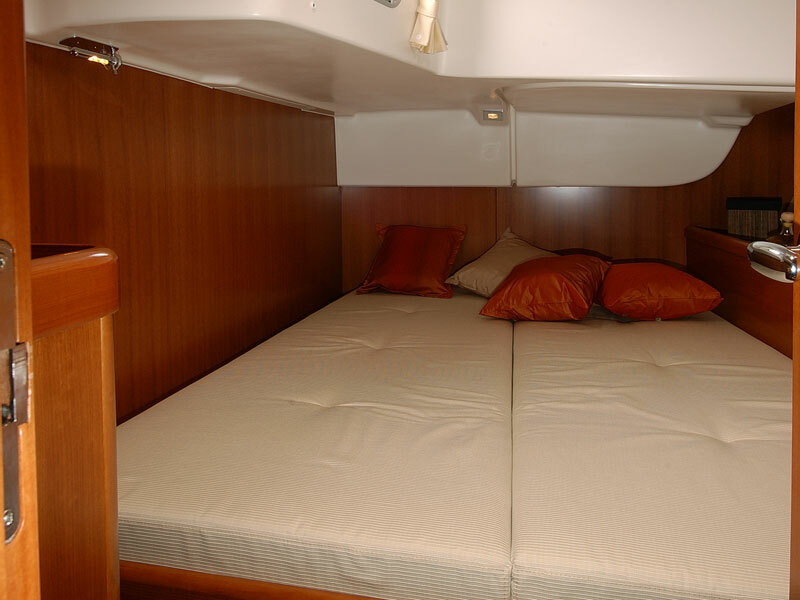 This Oceanis 50 comes with more sail area, as standard and some great new eye catching styling below decks. 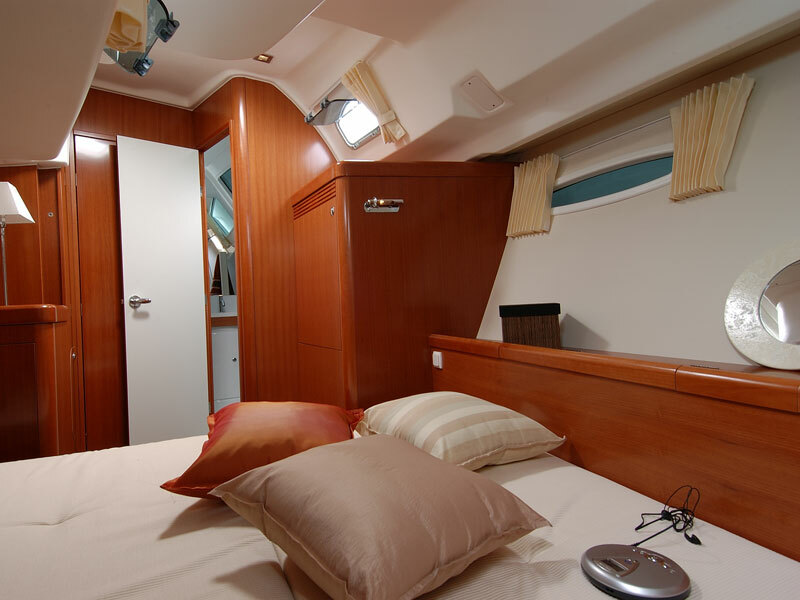 Its spacious cockpit area with two steering wheels, five double cabins plus one single, three heads with shower and a large comfortable saloon provide comfortable accommodation for up to eleven people.